Each week of Advent, we invite you to join us in reflecting in how caring for creation prepares us for the coming Christ. 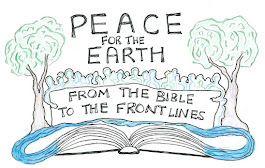 Over the next four weeks, we offer weekly reflections that tell the stories of four congregations and how they fulfilled particular requirements to be certified as an Earth Care Congregation by the Office of Environmental Ministries. If you are interested in joining their ranks, please contact Rebecca Barnes-Davies at Rebecca.Barnes-Davies@pcusa.org. May the work of these congregations bring you hope, even as we wait with expectation, joy, and love for the Hope of the world. The long glorious days of summer gave way to the golds and reds of fall and now we have come to the slowing—the quieting—that gives those of us in the northern hemisphere a season of reflection and anticipation. For the Montevallo Presbyterian Church of Montevallo, Alabama, there is much to reflect upon. Their church is a beautiful, white landmark in this college town. The sanctuary was built in 1902 and the education wing was completed in 1912. When it was time to update the facilities, the discernment process led them to an exploration of the “best practices” for turning “old” into “green.” With guidance and information they found through the PC(USA) Office of Environmental Ministry, they explored the guidelines for ENERGY STAR for Congregations. These guidelines have only been available for the last three or four years so it was new and exciting for this forward-thinking church to contemplate how they might incorporate as much of the program as possible into their renovation. Rev. Leanne Pearce Reed stated that it was easy, with this group, to sell the idea. The area where they live has pollution issues that affect air quality and the water in the nearby Cahava River. The ENERGY STAR for Congregations program provides a range of possibilities that run from free to more costly. The new windows, insulation, and appliances that the members felt had to be purchased were on the costly side, for sure. However, if you ever get to talk to Rev. Leanne, she will tell you over and over that there are many, many low cost and NO cost ways to be more energy efficient. Her hope is that everyone will browse through the online guidelines, especially the “Sure Energy Savers” page. But, all great journeys have stories with multiple parts; there’s not just mangers and shepherds. Congregant Bill Peters began the task of tracking the energy use of the structures and systems that are integral to their buildings. Using Portfolio Manager he tracked the kilowatt hours of electricity, the gallons of water and the therms of natural gas used. Bill says that Portfolio Manager is a very technical program designed for use in large, commercial facilities. It became his calling to make the program work for the Montevallo Congregation’s specific purpose. He will gladly tell you that he is excited about the re-launch that is coming in the spring of 2013 when Portfolio Manager will provide a user friendly tracking model. Why is he excited? A group of Episcopalian churches in Chicago are using this tool for accountability, and not just for a particular congregation, but across the whole diocese! His hope is that with this apples-to-apples ability to compare, many Presbyterian Churches across the country will join together to share information and resources. A great story, yes, but the journey this year led right to the White House. The congregation was honored in September, as one of 28 churches that have become Energy Stars! Rev. Leanne was personally invited to represent her members. There is no doubt that even in those hallowed halls she lost no time telling everyone who would listen that they can do it too. Creator God, you brought the earth out of the void and flung stars into the skies above it. When you wanted the Wisemen to find the baby, born and laid in a manger, you led them there by a star that shone both day and night. We thank you for this Alabama congregation that has found a new and different star to bless their journey. Amen. Holly Hallman recently retired from serving as a hospice chaplain, and she currently serves PEC on the Steering Committee. Download all four PEC Advent Devotionals here! Intro­duc­ing the Unbound Nov 2012–Jan 2013 issue “Hope for Eco-Activists: Dis­cov­er­ing an Envi­ron­men­tal Faith” - A col­lab­o­ra­tive issue of Unbound and Pres­by­te­ri­ans for Earth Care exam­in­ing the rela­tional and spir­i­tual foun­da­tion of a life devoted to sus­tain­abil­ity and envi­ron­men­tal jus­tice. This issue will “roll out” over a period of sev­eral weeks and we will be highlighting articles by PEC leaders as they become available! Check out the introduction to the issue and stay connected for more! This is an arti­cle about envi­ron­mental hope. 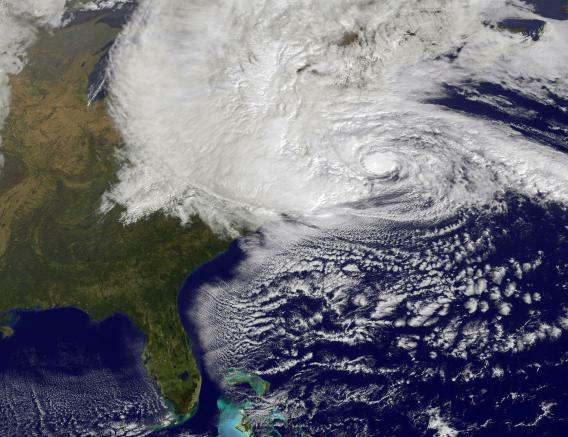 These days, in the wake of Hur­ri­cane Sandy, the words “envi­ron­men­tal” and “hope” do not often go together. But actu­ally, they’ve been divorced for many years. I grew up in the ‘80s and ‘90s hear­ing about the destruc­tion of rain­forests, species extinction, and any number of apocalyptic visions due to cli­mate change. As a child, I plastered drawings around my neigh­bor­hood with great spi­rals of smoke con­sum­ing the earth (I had recently seen the films Fer­n­Gully and Med­i­cine Man). I scared my par­ents by telling them that the earth would be bet­ter off if the human race were eliminated—logical, though cer­tainly not the voca­tion par­ents dream of for their child. I hon­estly wanted to make things bet­ter, but that just didn’t seem likely. And yet, this is an arti­cle about hope. In fact, it’s an intro­duc­tion to an entire jour­nal issue about that hope.This issue asks a sim­ple ques­tion: What gets us out of bed every morn­ing and gives us the will to fight another day for sus­tain­abil­ity, earth care, and eco-justice? The envi­ron­men­tal move­ment has, in large part, oper­ated from the assump­tion that if we tell peo­ple just how seri­ously threat­ened the future of our planet is, they will start to care and take action. This has cre­ated a strat­egy of “aware­ness rais­ing.” But new (and some old) the­o­ries of how peo­ple learn and develop identity-markers draw this assump­tion into ques­tion. More­over, the strat­egy can back­fire. Rather than more infor­ma­tion serv­ing as a cat­a­lyst, it has often over­whelmed and left many feel­ing powerless. Not long before Louv’s pre­sen­ta­tion, an expert on global cli­mate change had spo­ken to the same group of students—and had received a very dif­fer­ent reac­tion. They were bored; they couldn’t have cared less. What they heard was the typ­i­cal doom and gloom mes­sage: “the planet is in big trou­ble (but it’s too late to save it any­way).” Young peo­ple have heard this mes­sage all their lives. They get it: the world is dying. But Louv said some­thing that they had not heard before. He spoke about them and “their health: a grow­ing body of evi­dence show­ing how out­door expe­ri­ences can enhance their abil­ity to learn and think, expand their senses, and improve their phys­i­cal and men­tal health.” While Louv named the dire threats to the envi­ron­ment, he pre­sented these dete­ri­o­rat­ing con­di­tions as a ral­ly­ing cry for “new sources of energy; new types of agri­cul­ture; new urban design and new kinds of schools, work­places, and health­care… whole new careers.”¹ With­out down­play­ing the seri­ous­ness of the earth’s envi­ron­men­tal prob­lems, Louv gave a mes­sage of hope that spelled out alter­na­tive prac­tices and poli­cies that are already being imple­mented in com­mu­ni­ties across the world. It is not enough to tell peo­ple how bad things are. That neg­a­tive moti­va­tion only goes so far. Peo­ple need more. And they need more than “aware­ness.” David Siegen­thaler, who writes in this issue about deep ecol­ogy, says that true moti­va­tion begins with “first-hand con­tact” or expe­ri­ence that elic­its awe and, yes, love. “Under­stand­ing,” he writes, “fol­lows love.” When you love some­thing, you are will­ing to fight for it. In the spirit of that loy­alty to the earth, these arti­cles go beneath the “issues” (though they cer­tainly engage them) and exam­ine the rela­tional and spir­i­tual foun­da­tion of a life devoted to sus­tain­abil­ity and envi­ron­men­tal jus­tice. They seek a coher­ent way of life and the­ol­ogy man­i­fest in all aspects of exis­tence: human rela­tion­ships, the sacra­ments and wor­ship, the read­ing of scrip­ture, re-connection with the earth, artis­tic expres­sion, our con­sumer deci­sions, and com­mu­ni­ties that rein­te­grate the social cat­e­gories of race, gen­der, age, and class. The issue began as a project of Unbound, Pres­by­te­ri­ans for Earth Care, and Pres­by­ter­ian Envi­ron­men­tal Min­istries. But it soon grew and took on new ecu­meni­cal, and then inter­faith, dimen­sions. It turned out that peo­ple were excited to write on this sub­ject. In fact, we received so many sub­mis­sions that we have decided to roll out the issue over a period of sev­eral weeks, rather than post all the arti­cles at once and overwhelm. You will get to hear from Green­Faith Fel­lows, trained in North America’s only com­pre­hen­sive inter­faith edu­ca­tion pro­gram designed to turn clergy and laity into religious-environmental lead­ers; from sci­en­tists and ecol­o­gists; from artists, musi­cians, and poets; from ecu­meni­cal young adult move­ments like the National Coun­cil of Churches’ Eco-Justice Pro­gram and the World Stu­dent Chris­t­ian Fed­er­a­tion; from par­tic­i­pants in the Rio+20 United Nations Con­fer­ence on Sus­tain­able Devel­op­ment; from pas­tors and the­olo­gians; and from eco-justice com­mu­nity organizers. Shan­tha Ready Alonso of the NCC helps us under­stand what young peo­ple crave and how the envi­ron­men­tal move­ment could answer that need. Larry Ras­mussen, the Rein­hold Niebuhr Pro­fes­sor of Social Ethics Emer­i­tus at Union The­o­log­i­cal Sem­i­nary in New York City, writes about the Eucharist and an envi­ron­men­tal sacra­men­tal the­ol­ogy, draw­ing upon his new book, Earth-Honoring Faith. Rabbi Janet Mad­den describes how gar­den­ing offers a sacred space (even in pots and buck­ets) and a sacred time for being together, par­tic­u­larly, on Shabbat. William Sea­man intro­duces us to the deep won­der of our world’s threat­ened oceans, and maps out pos­si­bil­i­ties for recovery. Holly Hall­man and Abby Mohaupt lead the rally cry for eco-feminism, a move­ment and phi­los­o­phy that under­stands the oppres­sion and objec­ti­fi­ca­tion of women and of the envi­ron­ment as inter­con­nected and mutu­ally supportive. Com­mu­nity orga­nizer Clare But­ter­field exam­ines racial and class priv­i­lege embed­ded in the envi­ron­men­tal move­ment, and tells us how one urban inter­faith eco-justice orga­ni­za­tion in Chicago is work­ing to change that. Genny Row­ley shares her research on con­gre­ga­tional envi­ron­men­tal orga­ni­za­tions: how they hap­pen and why they work. Neddy Astudillo reframes our under­stand­ing of cre­ation care from the per­spec­tive of her Latino/a min­istry and con­text, seek­ing to inte­grate and tran­scend the lim­i­ta­tions of stew­ard­ship, jus­tice, and spirituality. Stan Adam­son intro­duces deep ecol­ogy and nature deficit dis­or­der, and tells us how immer­sion in the nat­ural world can become a spir­i­tual discipline. Lau­ren Wright shares art inspired by her Young Adult Vol­un­teer (YAV) and eco-steward year in the wet­lands of south­ern Louisiana. Together, these arti­cles reveal a chang­ing envi­ron­men­tal movement—one that is less about ward­ing off dis­as­ter or accru­ing ben­e­fits, and more about a vision of local, sus­tain­able com­mu­ni­ties gath­er­ing around farm­ers’ mar­kets, con­tem­pla­tive hikes and sea voy­ages, urban re-design, and cre­ative polit­i­cal action. It is a par­tic­i­pa­tory, rela­tional vision refram­ing old ques­tions like “How do we stop envi­ron­men­tal degra­da­tion?” into “How do we cre­ate a dif­fer­ent kind of soci­ety?” It is a move­ment based on hope and the pre­sen­ta­tion of prac­ticed alter­na­tives that go beyond mere stew­ard­ship of resources (e.g. recy­cling) and address sys­tems, root causes, and issues of priv­i­lege. That hope, for many, is based in a sacred expe­ri­ence of God’s creation. The sys­tem­atic impli­ca­tions of move­ments like these remain to be seen, but if enough com­mu­ni­ties like these emerge—and if they connect—we may have more than hope. We may have liv­ing alter­na­tives that resist the momen­tum toward dev­as­ta­tion. Dis­as­ter still threatens—we will see increas­ing num­bers of grim storms—but we will also see more of a future that is not heart-breaking but hope-bearing. Richard Louv, The Nature Prin­ci­ple: Human Restora­tion and the End of Nature-Deficit Dis­or­der. Chapel Hill, North Car­olina: Algo­nquin Books of Chapel Hill, 2011: 282–3. The Rev. Patrick David Heery is the Man­ag­ing Edi­tor of Unbound and an ordained Teach­ing Elder (for­merly Min­is­ter of Word and Sacra­ment) in the Pres­by­ter­ian Church (U.S.A.). He is a staff­per­son for the Advi­sory Com­mit­tee on Social Wit­ness Pol­icy. He earned his Mas­ter of Divin­ity from Prince­ton The­o­log­i­cal Sem­i­nary (2011) and a Bach­e­lor of Arts in both Eng­lish and Clas­sics from Ohio Uni­ver­sity (2008). 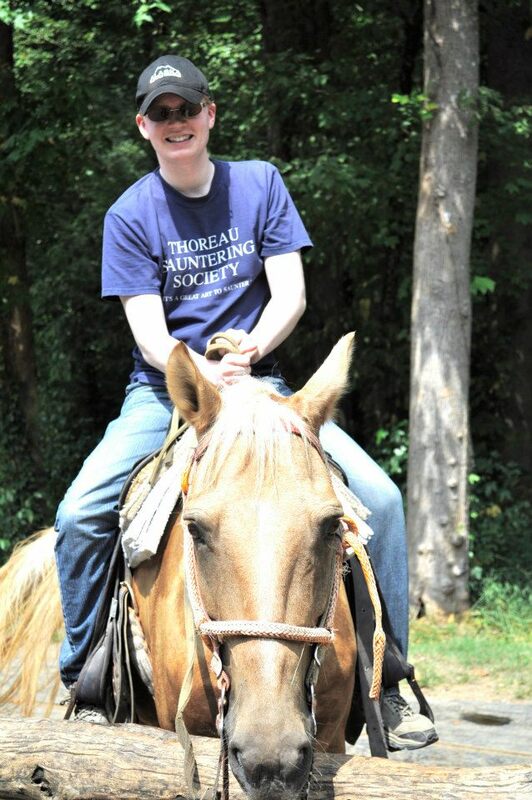 While at sem­i­nary, Patrick helped found ECOS: Envi­ron­men­tally Con­scious Orga­ni­za­tion of Seminarians. Today we are more aware than ever of the effort that will be needed to call Presbyterians to the role for which all humanity was created, “to till and keep the earth.” (Genesis 2:15). In order to connect, equip and inspire members of the PC(USA) to make creation care a central concern of the church, your financial support for Presbyterians for Earth Care is vital. We therefore ask, during this holiday season with its focus on gratitude and giving, that you prayerfully consider a donation of any size. Assisted the Eco-Stewards program to convene eight young adults in Boston and Vermont to learn about the ways the Occupy movement and Biblical and theological resources intersect in hands-on practical actions to protect and be nurtured by our relationship with the earth. Continued to build on our relationship with the denomination’s office of Environmental Ministries and its new Associate, Rebecca Barnes-Davies. Began planning for our next conference at the Ferncliff Camp and Conference Center in Arkansas, October 16-19, 2013. Continued to produce the PEC Update newsletter each quarter providing up-to-date news and information about earth care topics from around the denomination. Coordinated advocacy efforts among our members for a multitude of earth care concerns such as the Keystone XL pipeline, fracking and mountain top removal, among others. Provided a presence at the church’s General Assembly in Pittsburgh to communicate with members about the urgency of these and other efforts. To build on these accomplishments, we continue to need your personal and financial support in order to reach out to Presbyterians across the country. So much needs to be done now to protect the future of creation! Please visit www.presbyearthcare.org to make a donation today. PEC's Advent Update is Here! Download the entire Advent 2012 PEC Update here! Hope is often the theme in the lighting of the first Advent candle, and it sets a tone of anticipation through the season. In this text for the first Sunday in Advent we hear words of anticipation as John the Baptist quotes from the prophet Isaiah. We who seek the Christ also seek reassurance that our work in Earth caring will make the rough ways smoother and the crooked straighter. In September, I visited the Kansas prairie, a very grounding experience, to take the opportunity to hear speakers at the Land Institute’s Prairie Festival. This year speakers included Wendell Berry, P. Sainath, and David Orr (presenting on “Down to the Wire: Discussing Climate Collapse.”) PEC's theme of hope resounded from the prairie. "Pessimism is not what we need," Orr said, "nor is optimism. Neither will get us ‘anywhere.’" Wendell Berry and Wes Jackson agreed. “It is hope that will carry us down these days of climate destabilization,” Orr said. There was still something needed. It all came together during a sermon when my pastor mentioned a quote (amazingly enough) from Wendell Berry, “It gets darker and darker, and then Jesus was born.” She mentioned the radical hope that this quote had engendered for a woman in the midst of her own darkness. Yes!! !…radical John the Baptist, radical Christ (indeed) and now, what we need is radical hope...for Earth’s healing. Amen. In this Update, we recognize Earth Care Congregations (ECCs) and highlight the four areas of action in the program: worship, education, facilities, and outreach (including community involvement and public policy). We have asked representative ECCs to blend these earth-caring actions with the Advent message. We honor as well all 97 current ECCs, as well as PEC member churches and the many groups and individuals who have continued to work steadfastly toward environmental and related social justice goals. The peace and passion of Christ be with you. Mark Your Calendar for PEC's 2013 Conference! The Presbyterians for Earth Care Conference Planning Team has been hard at work for months preparing for our 2013 conference, “Ethical Earth Care: Keeping Creation Sacred,” October 16-19, 2013. Please put this on your calendars and highlight in green! We are thrilled about our conference leadership, including both major presenters and workshop leaders. Our keynoter and ethicist is Larry Rasmussen, ThD, who is Reinhold Niebuhr Emeritus of Social Ethics, Union Theological Seminary, New York City. He is the author of numerous articles and books, including – just printed – Earth Honoring Faith: Religious Ethics in a New Key. In this very meaningfully written resource, Larry argues that our spiritual and ecological ethic must be one which includes the well-being of all creation including our primal elements of earth, air, water, and fire. We are also excited to announce that the Rev. Neddy Astudillo, eco-theologian will be our worship leader and the Rev. Bryan McFarland, singer and social justice songwriter, will bring musical leadership. Both are Presbyterian pastors and are passionate about earth care and related social justice. A pre-conference educational tour is scheduled for Wednesday, Oct. 16 and includes a tour of Heifer International Headquarters and the Clinton Library. Both represent a commitment to sustainability. On Friday there will be an opportunity to visit Heifer Ranch as well! The conference will be held at Ferncliff Camp and Conference center in Little Rock, Arkansas, a beautiful 1200-acres site with a number of wonderfully sustainable features, which promises to be an excellent place for our gathering. Do check out Ferncliff Camp and Conference Center’s website at www.ferncliff.org! An official conference brochure will be available early in 2013 with information on how to register. We are looking forward to seeing you at the conference! It will be deeply enriching with LOTS of information on how to go back to your church and community prepared to be a passionate advocate for our Sacred Earth.